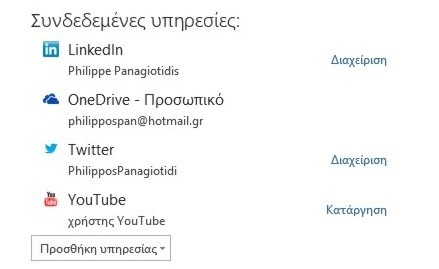 Have you wanted to connect Office 2013 with other Online Services such as OneDrive, LinkedIn, Twitter, Flickr etc.? The procedure is very simple and once we have done it we can quickly add images, video or files to an Office File. If we add a Storage Service, we will be able to store our files automatically into that service. In order for this to be accomplished, we must sign into Office with our Microsoft Account or for others with their Office 365 Account. 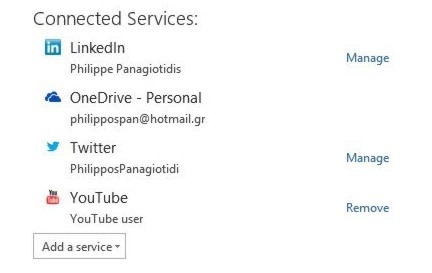 Once we sign in with our Microsoft Account all our Office settings will be synced. It does not matter which application we have open in order to Connect a Service. Once we connect a Service in Microsoft Word 13 for example, that Service will be available in all the other applications also. In order to Connect a Service just follow the steps below.